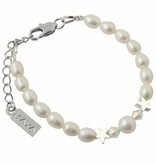 A beautiful bracelet made of genuine freshwater pearls, with a big round as beautiful centerpiece. 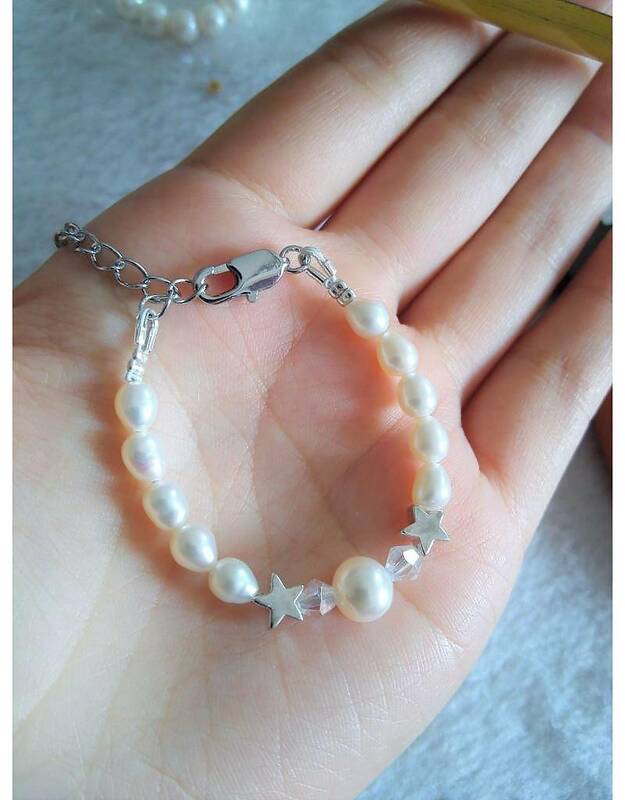 The gem is surrounded by silver stars, Swarovski crystals and freshwater pearls. 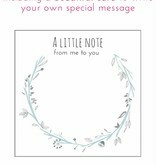 With much love and handmade crafts. ♥ Extra strong through the use of professional wire with nylon coating and thread protectors on the ends. 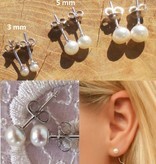 ♥ The round pearl in the middle is especially precious and special. 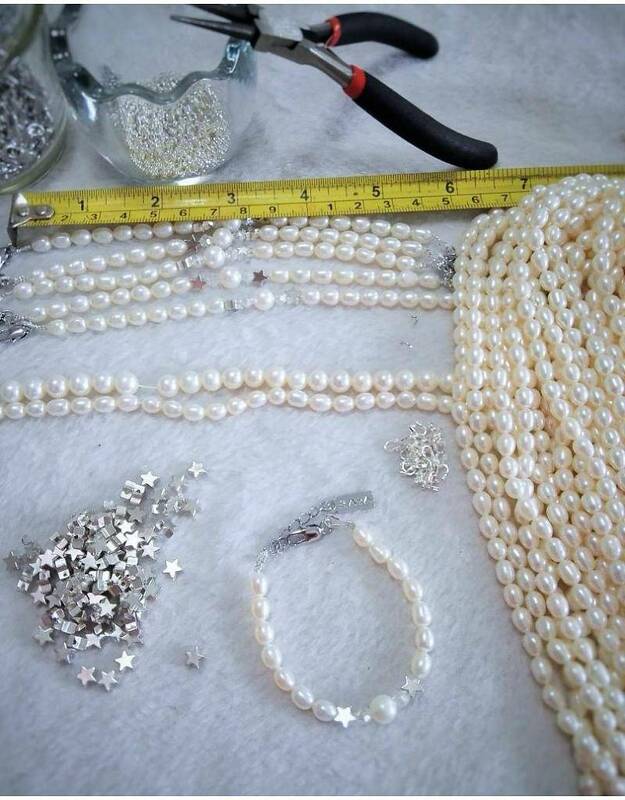 At freshwater pearls is: the rounder, more valuable. 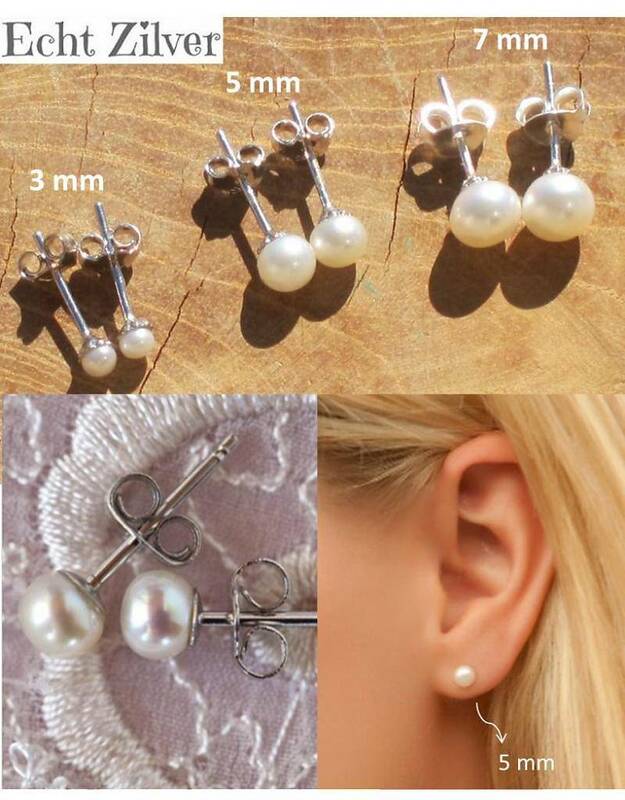 ♥ We use only AAA quality freshwater pearls , the highest level with the best luster and with almost no unevenness. 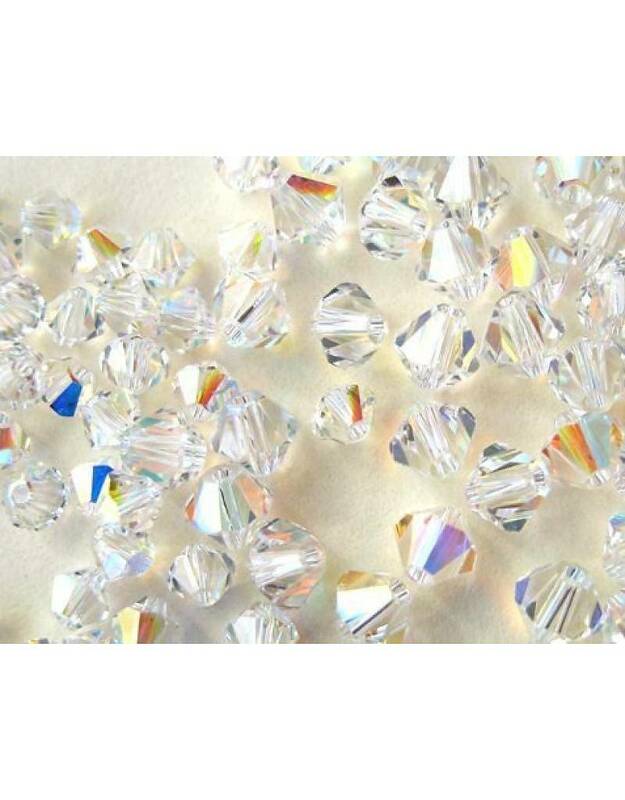 ♥ Two Crystal AB Swarovski crystals, white with an oily rainbow glow inside. 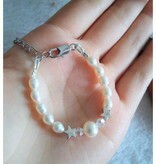 ♥ With 3 cm extension chain which makes for a good fit. 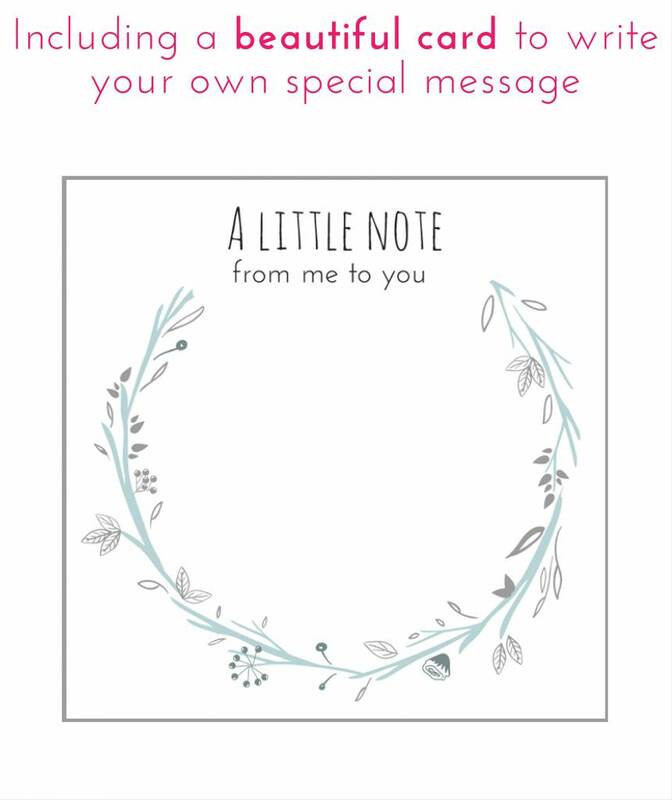 ♥ Economical it can be expanded with an additional bracelet girl or mama bracelet. 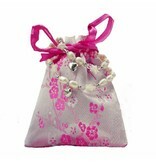 ♥ Luxury wrapped in two pink silk jewellery pouches silver wipes, equally ready to give away! 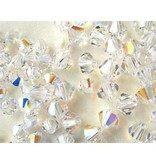 ♥ Safety: Children's jewellery should always wear under three years under supervision. 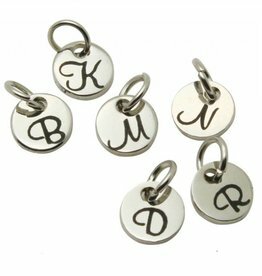 Have a baby or toddler wear jewellery under adult supervision. Remove the jewellery while playing before they bathe and obviously for sleeping. 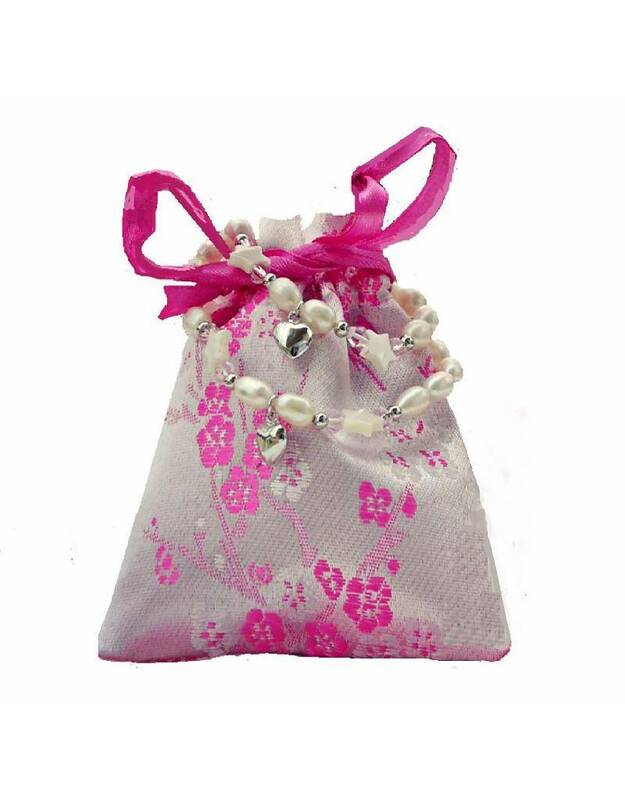 Children Jewellery for toddlers are primarily intended as a souvenir, to wear during special occasions and to save for later. 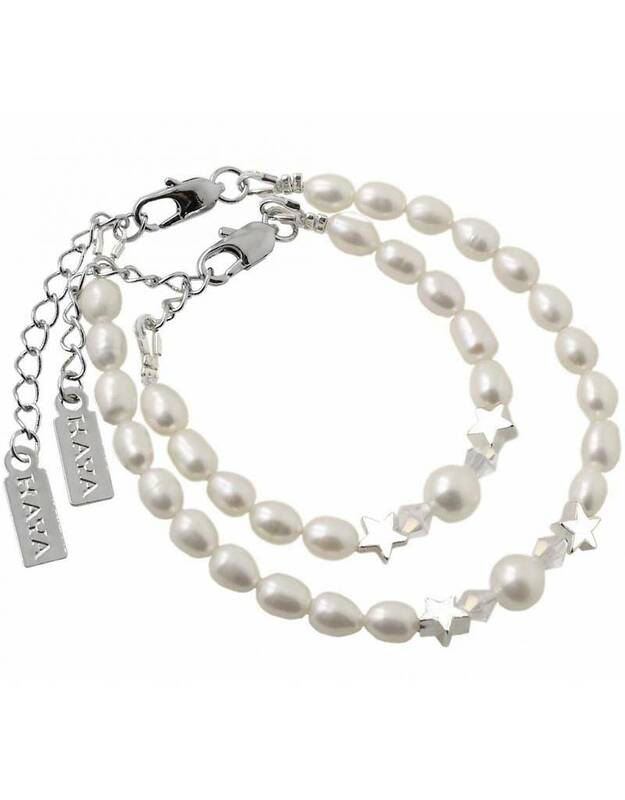 Made of real freshwater pearls that are naturally grown in fresh water. 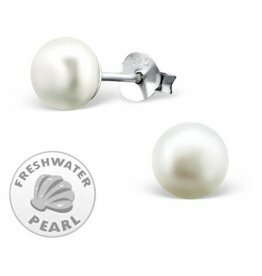 Because of its shape and inscrutable luster true freshwater pearl in many cultures as a symbol for eternity, wisdom and beauty. Beads are formed on the inside of shells in response to a piece of sand which enters the shell. 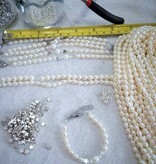 It is estimated that a pearl is in one in 15,000 wild oysters, however nowadays almost all cultivated pearls. 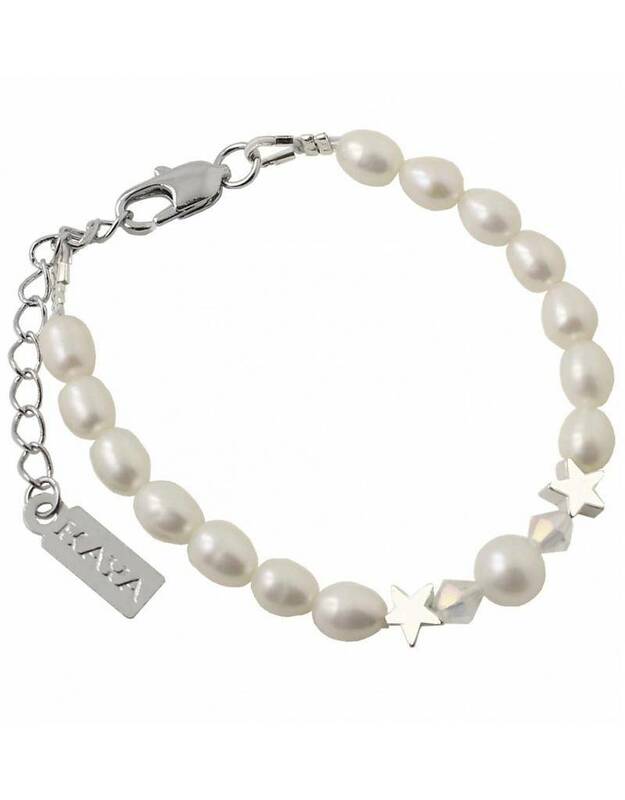 This jewellery line we use is AAA grade, the highest quality grade freshwater pearls with the finest shape and shine.